The Striker’s Chance… OUT NOW! 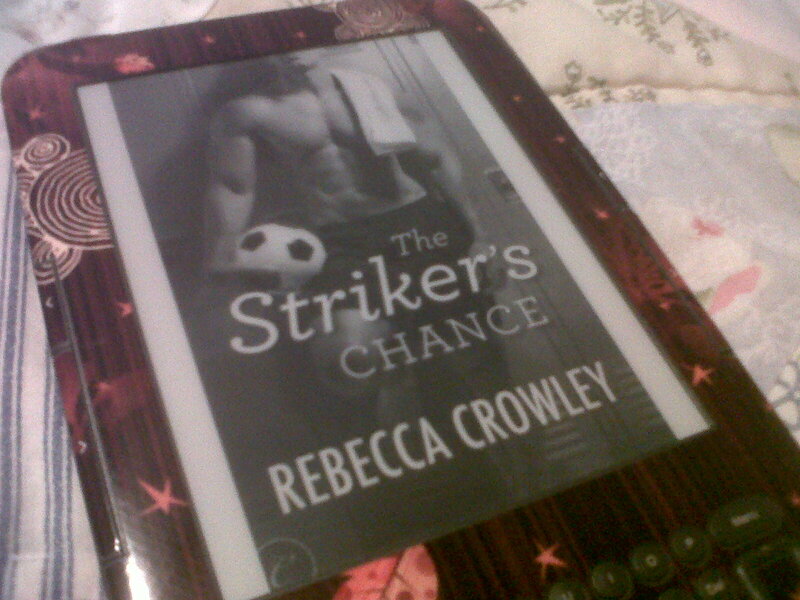 I want to wish Rebecca Crowley a very happy publication day (along with super awesome thoughts of bottles of champagne popping open) for her debut The Striker’s Chance! And, because I know loads of authors get their kicks from it, here’s The Striker’s Chance out in “the wild” (aka on my kindle, on my bed). Sorry for the grainy camera phone shot!! If you’d like a preview of The Striker’s Chance and missed Rebecca’s guest post last month, head over here. For info on where to snag your copy (and there’s also an audiobook!) check out Rebecca’s “Books” page on her website. I’m already halfway through the novel and let me tell you, you don’t want to miss out!